Tax-Free Savings Accounts (TFSAs) and Registered Retirement Savings Plans (RRSPs) are great ways to let your investments grow tax-free — with the added benefit of making your paperwork simpler because you won’t have to track or report the gains of individual investments within them. Deciding which is best for you can be a bit complicated, so this decision tool should help you quickly figure out which to use. Click here or on the preview image to open the PDF. To make it approachable (and fit nicely on a one-page infographic) I worked to make each criteria fit within 3 lines. For more discussion on the considerations, see this post. Also, Questrade has recently made major changes their interface, which is going to require a substantial update to the book. However, I have a major project due soon and thus zero time to create the updated step-by-step guide in January, so hopefully you can make the inference from the guide using the old interface. Check back in mid-to-late February for an update to the errata for any changes in the instructions. Thanks for your patience, and I hope you enjoy the infographic. Just wanted to point you to a recent article in the Globe and Mail that mentioned me and the book. In the back of the book I provide a list of useful resources, one of which was the MoneySense directory of fee-only planners. As much as I like to help people do as much on their own as possible when it comes to finances and investing, there are definitely times when it makes sense to pay for outside expert advice. For example, in the book I strongly suggest that people consult a planner as they get close to the point where they will retire and have to switch from saving/accumulating investments to spending or “decumulation” — and there are many other points in life where it can be a good idea (including just not feeling confident in a rough plan you came up with yourself). In those cases, a fee-for-service or fee-only planner (or coach or advisor depending on the terminology and specific services) can be well worth the fees — and best of all, that kind of business model is transparent and frees the advisor from most sources of conflict-of-interest. However, there are not yet any large nationwide, name-brand firms offering this kind of service (whereas there are many banks and mutual fund companies offering commission-based or sales-tied advice), so if you want to find such a planner you’re likely going to have to consult a directory to find an independent or a smaller firm — there won’t be mass media jingles bringing their awareness to you. So having a directory is incredibly useful, and it saddens me to see that the old MoneySense directory has been taken offline. I’ve taken it upon myself to create a new, free, open directory. It’s still in the ramp-up phase of adding advisors, but be sure to bookmark this page to check in on it, or if you are an advisor yourself, to add your name to it. Or, jump straight to this link to view the directory in Google Sheets. 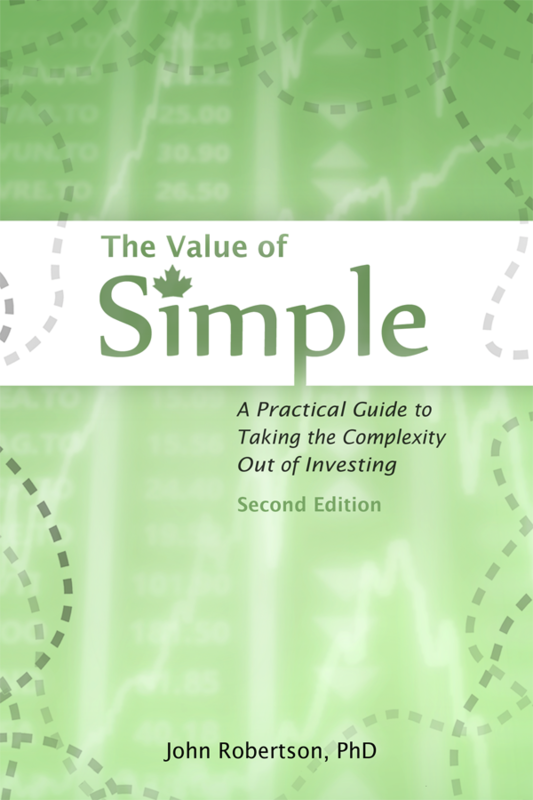 I’m happy to say that the Value of Simple is now available in select Indigo locations across the country. You can check store availability online. Update: two stores from the original list have sold out, and more have come on-line since the original post. Best to just check directly with Indigo. It’s available in roughly a dozen stores in the GTA, a few near Ottawa and Montreal, a few in Calgary and Alberta, and making its way into BC stores. To celebrate this and other exciting news, I’m holding a draw to give away another copy over at the blog! Also, I just realized I forgot to link to the second half of my interview with Kornel at Build Wealth Canada. The Canadian dollar has declined a fair bit over the past few months, making things produced in the US more expensive for us, including books like The Value of Simple. The CAD has dropped over 12% since I set the price of the book, and almost 9% from the release date. I wanted to set the price in CAD because the book is intended for Canadian readers, and I don’t want the price to fluctuate with every little move in the exchange rate — even if I have to absorb those fluctuations from my margin. I do not know what happens behind the scenes in the book distribution chain, but Amazon and Indigo have never had quite the right price for the print book, and their price fluctuates over time. Just two weeks ago Amazon had a sale on the book; now this week they have it at $1.50 over the list price (and $4 higher than the sale price), which I think may be because of the exchange rate. To try to fix this I’ve lowered the (hidden to the public, but existing in the distributor’s catalog) USD price on the book to reflect the new exchange rate, in the hopes that that’s the source of the new, higher CAD price and that he price will get back to where it should be soon. Edit: The price change is now in effect, and Amazon and Indigo currently have the paperback available for just $16.10! In the meantime, you can always order directly from me using the online store at the correct price if the Value of Simple is all you’re ordering — if you’re buying more and are eligible for free shipping, then even the erroneous Amazon/Indigo price may work out better for you on the whole (and their shipping with Canad Post is somehow magically faster than my shipments with Canada Post). Speaking of the direct purchase option, my inventory from the first print run is getting low. In the store software the print book alone and the print and e-book bundle are treated as separate products, so I’m balancing the remaining units between the two options every few days, so you can choose what fits best for you — if one ends up sold out while the other still has stock then it’s quite likely you can order the out-of-stock option and I’ll still be able to fill the order immediately. Note that I do have direct control over the e-book pricing, so those prices have not fluctuated at all with the exchange rate changes. If you need a copy of The Value of Simple to be delivered by Christmas, please note that Amazon is currently reporting estimated delivery times in mid-January. I believe that in the coming weeks those estimates will come down — the supply chain just isn’t that long — but that’s a long way from a delivery guarantee for a gift idea. Orders placed through my direct site before December 15 should arrive before Christmas with regular shipping. Rush orders can be arranged after that if needed. Indigo reports units in stock and I have not heard from readers about any issues with delivery time after ordering — I assume all is working well there. Thank you all for your interest in the book and for sending in your questions! Here is the first batch of Q&As. 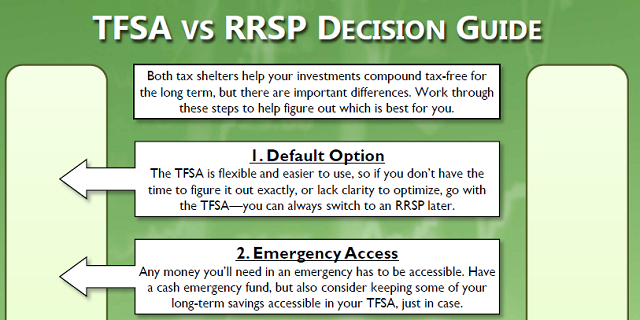 There’s a mention of TFSAs, RRSPs, and RESPs. Does the book cover RDSPs? No, unfortunately it does not. The implementation of RDSPs in Canada right now is a shameful sight, and it is nearly impossible to be a do-it-yourself investor in an RDSP. TD Waterhouse is the only option that even comes close, and it does not work in the same way as non-registered/RRSP/TFSA/RESP accounts. Information for the Canadian situation seems to be a big selling feature. Does the book also cover how to invest for Americans? No. Though the US is a much larger market than Canada, there’s also a lot more already available for them. I’ve found that Canadians are much harder-pressed for guide books — both by a lack of books as well as the relative complexity of the investing products available. You won’t find a single mention of a 401(k) or IRA in The Value of Simple, to completely eliminate any confusion between the two systems. Everything in the book is for Canadians. That depends greatly on what you consider “writing”. I actually sat down and pounded away at the keyboard in every minute of my spare time from about mid-February through to mid-May, then did some major revisions in August and September (I had to shelve the project in June and July as my day job became too hectic), and micro-editing, formatting, and polishing through October. However, I had been thinking of updating the first e-book for years, accumulating notes and testing out different ways of explaining things on people in person and online. I started organizing those notes and outlining in the fall of 2013, with the original intent of starting the big push over my winter holiday — plans that the 7-day blackout in Toronto forced me to postpone. So depending on how you count it, the answer could be anywhere from years to eight months. In terms of hours I can say it was at least 1000, which isn’t counting all of the explanation testing, the working with clients, or activities related to publishing rather than writing. And bear in mind that part of it was written already in the form of my 2011 e-book that was absorbed into The Value of Simple. I’d like to get the book, and don’t care much which format or store I use. Is there one that helps you more? John Scalzi put up an excellent answer to this issue: buy whatever format and from whichever storefront works best for you. “Honestly, you’re the customer.” That is the perfect answer and you can stop reading here. Of course, I can’t help but be complete, and my situation is slightly different than Scalzi’s. I did set up my own e-store and while I do get to keep slightly more of the price there, retailers do offer value for their cut. Retailers have the ability to put the book in front of people, and if you buy from them it helps with my sales rank to make the book easier for the next person to find. If you review it on Amazon and you bought it from them, the review is given more weight than if they can’t verify where your purchase came from. A big reason for making my own store was so that I could offer a multi-format package for you e-book readers out there: you never know what device you may be reading books on five or ten years from now, so with ePub, AZW3, and PDF to choose from you can be sure something will work. If major retailers offered that kind of package I likely wouldn’t bother with my own storefront. The end result is the same: buy whatever works best for you. The fact that you buy it at all is huge to me, and I want to make it as convenient as possible for you to do that. Will the book be available in my library? I’m a big believer in the power of libraries, and I’ve set aside over a dozen copies to donate to libraries across the country. Beyond those few copies, libraries can purchase the book through their usual Ingram distribution channels or e-books through Overdrive and other library cloud systems (facilitated by Smashwords). Unfortunately I have no way of knowing which library systems have decided to include the book in their catalogues unless I’ve donated it to them directly. Will you write an American/International version? At this point I have no plans to. There are already some good books out there for Americans, and much of the how-to-invest part can be answered in a single statement for Americans: go to Vanguard. The Value of Simple is more than that, and the material on processes, mindset, and keeping things simple would still be valid and valuable for non-Canadians, but that’s already there in this form. American buyers may not get as much value as Canadian ones — and it may take as much work to ignore the RRSP and TFSA discussions as it does for Canadian readers to ignore 401(k) talk in most other books — but it may still be worth checking out in the current form. If you have any questions you’d like to ask, please email me at invest@therobertsons.net and I’ll try to answer them at the book launch or in the next round of Q&As, which I plan to run in mid-December if enough questions come in. Welcome to the Value of Simple, the website. This site accompanies the upcoming book The Value of Simple by John Robertson, PhD. If you have found this site then you’re here early; the book is not due to be released until late 2014, and the official launch of the site is not slated until late September, 2014. Please forgive any construction.